I received this product from BarkBox in exchange for an honest review. However, all opinions and views are my own and I have not been compensated for this post. It’s National Dog Day and I rewarded Sophie with her very first BarkBox! BarkBox is a monthly subscription box for dogs that includes lots of goodies for your fur baby, tailored to his/her size. Each box usually includes treats, a chew and a toy. 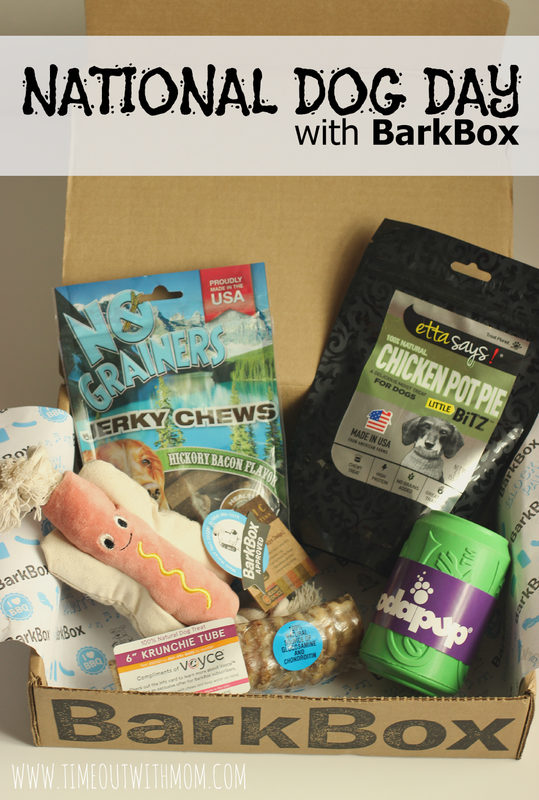 Each month, Bark Box chooses toys, healthy treats, and toys that are sure to keep your pup entertained. Since Sophie is over 50lbs., she received the Big & Bold box. Each BarkBox is $29 a month, or $19 a month with a 12 month subscription. You can also add an additional premium toy for an additional $9 per box.